Meet Marco. 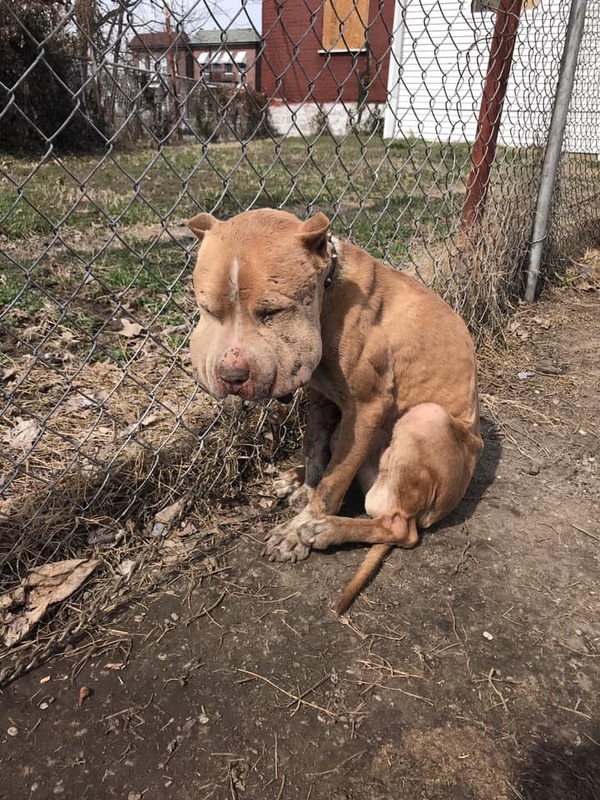 This sweet boy was rescued by Donna yesterday. 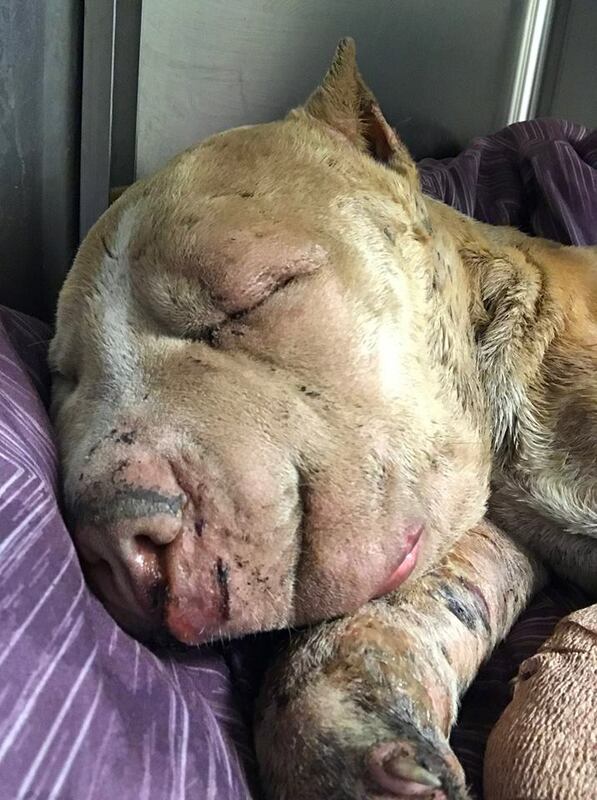 As you can see he is covered in bite marks that have gotten beyond infected and he has become septic. He is getting clinic care, love and support from the entire team. Marco is resting comfortably close to Harris in the clinic. Let’s pray Marco gets the second chance he deserves! He's on antibiotics and his body is fighting the infection. As this video shows, though, his wounds go deeper than what we see on the surface. We are here to help him through all stages of healing. He needs all of us! 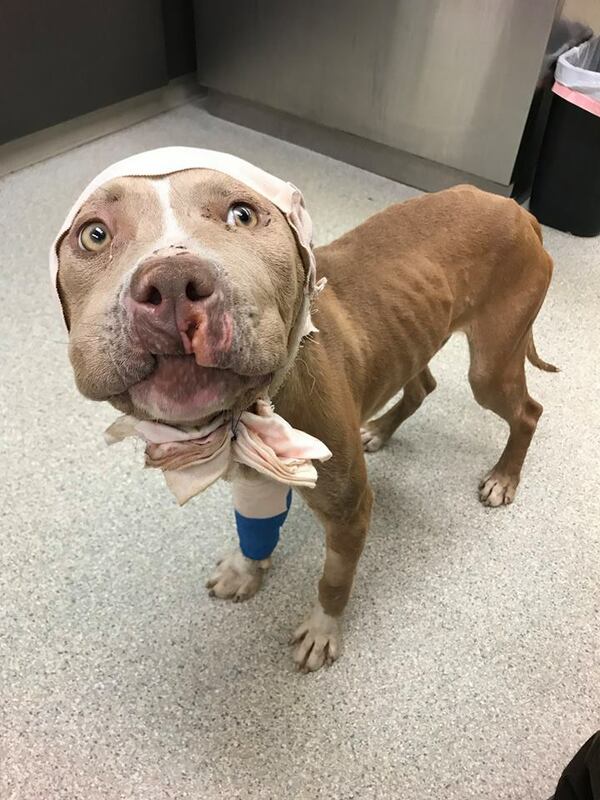 Update on Marco: You can hardly recognize him! 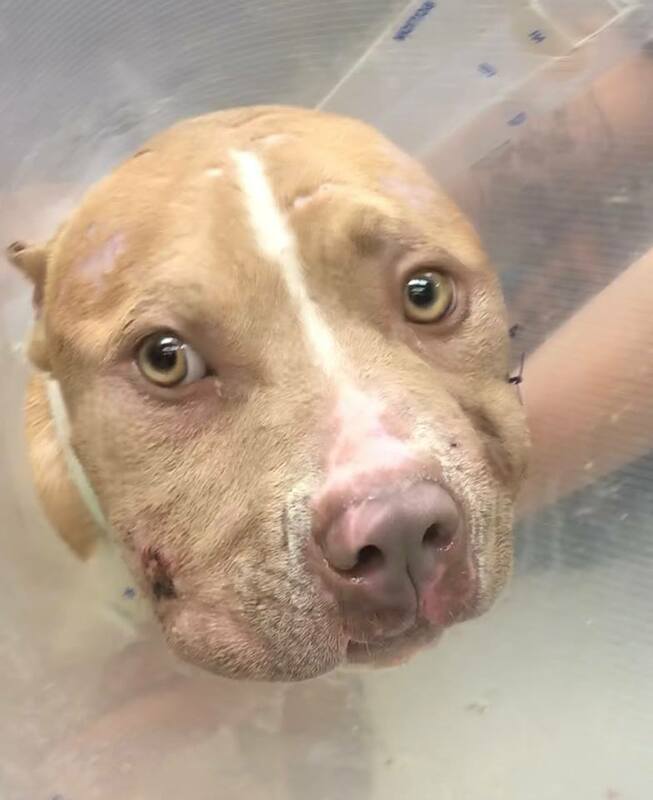 Today was the first day we were able to drain and clean his wounds. He has many deep pockets in his head and legs, so he'll need to be cleaned several days and had some drains put in. It's so good to see his true face. We'll keep posting updates! Good morning from Marco! He just had his bandages changed. His eyes look so bright today! 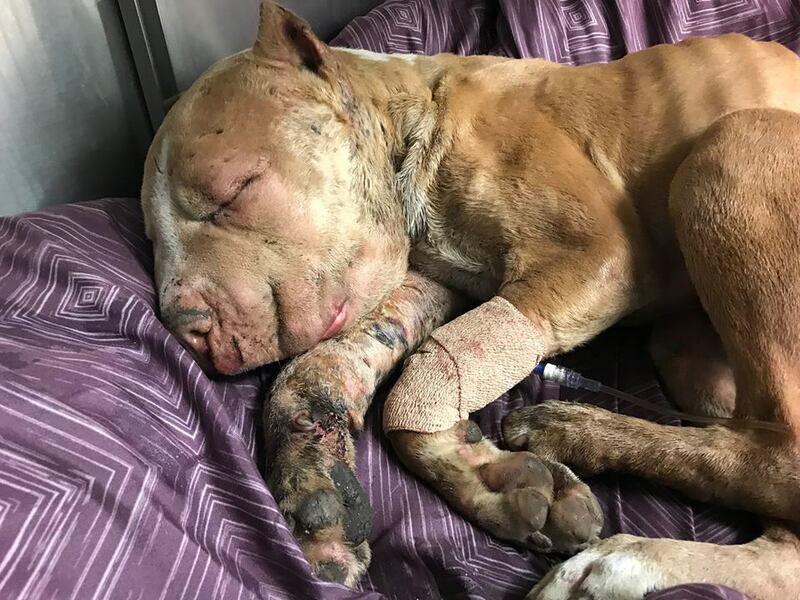 He is still having to have his bandages changed every day and his wounds cleaned. We will continue to post updates! 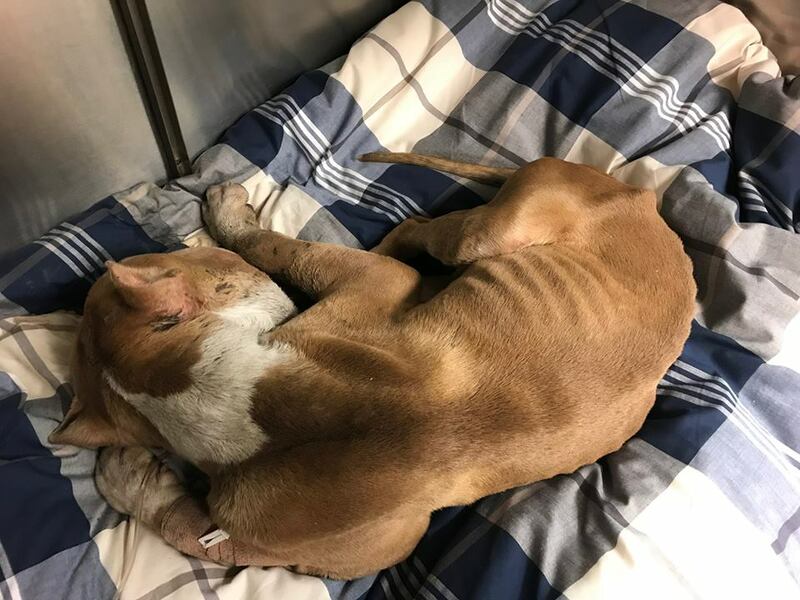 See his heart-wrenching before photos and full story here. Marco is doing great! 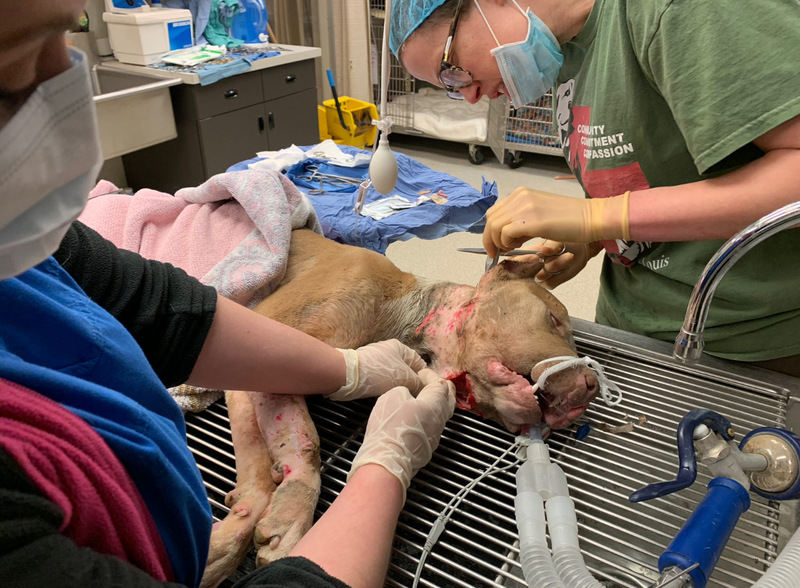 He is getting a daily warm compress put on his neck and face, and should be getting his drain out in a couple of days if all continues to improve. 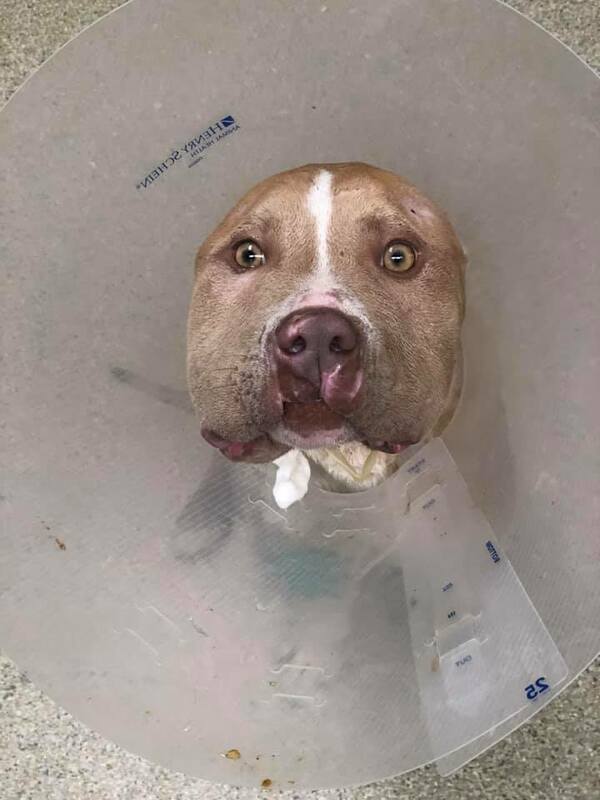 Things are finally looking up for this precious boy! 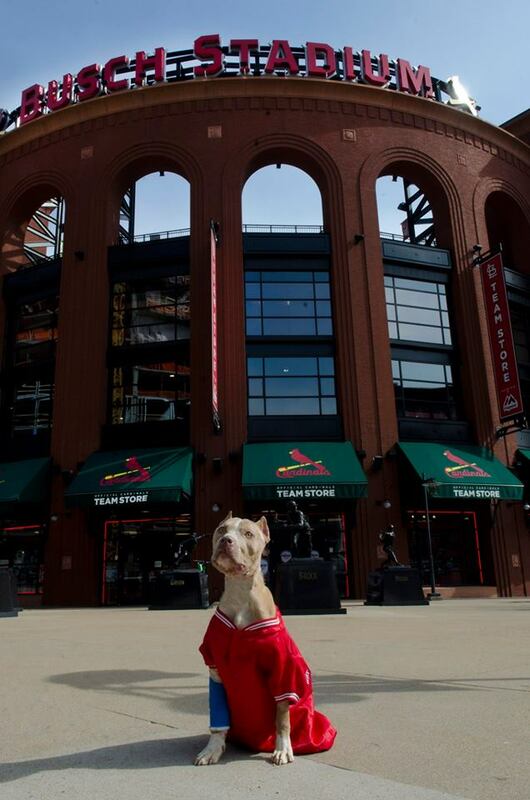 Marco is still recovering from his many wounds, but he was able to sneak out for a quick picture at Busch Stadium and LOVED being out in the sunshine. This boy is so amazing. 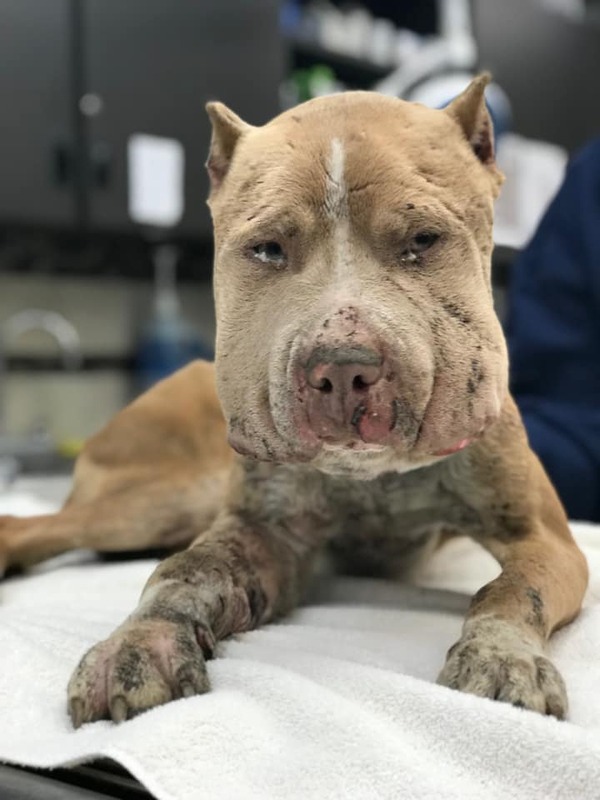 He is still healing and being monitored by our clinic, but we know he'll get there! Thank you for your prayers and support while he continues to heal. GO CARDS! Sweet Marco has been doing so good but had a setback today. He swelled up again - his meds were changed due to a test sensitivity and this is the result, so he is now back on injectable antibiotics. He will hopefully improve in a few days. He will also need a skin flap procedure on his arm. Please keep him in your prayers, along with Harris. As you know, Marco had a set back. Today he was taken into surgery and had the abscesses cleaned and drains put in. His face may still be swollen, but his upbeat attitude has not changed a bit. Please continue to hold Harris and Marco in your thoughts and prayers. Your love and support has gotten them this far, but they still need you! He has many abscesses that we continue to monitor. He'll need to have surgery on his leg as well. He has the best attitude of any patient, our vet techs and veterinarians just love him! We will continue to update you. 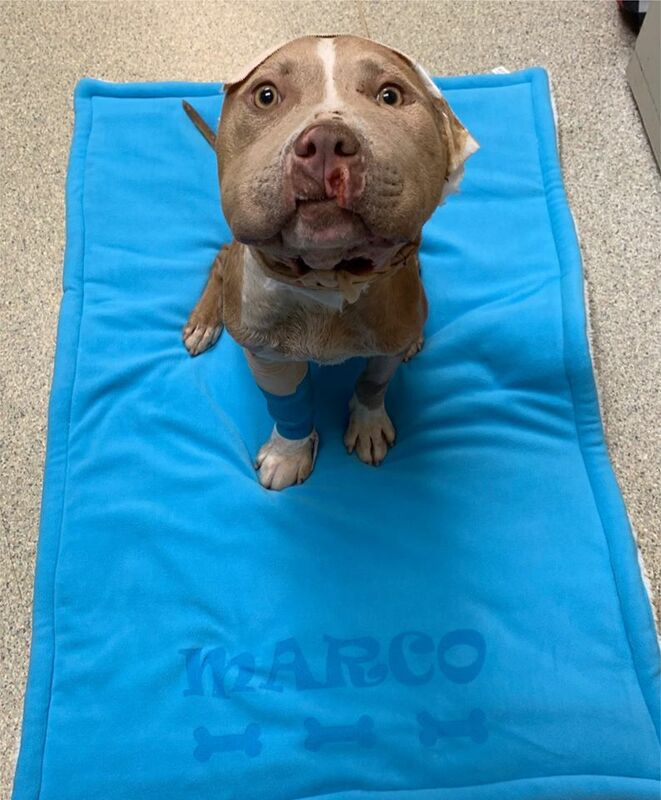 Marco's swelling is much better. 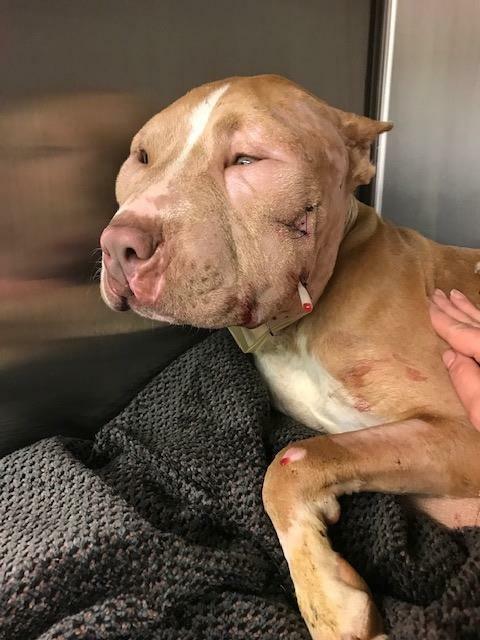 His wounds are still draining and he's still being monitored in our clinic. But his personality is shining! He loves his many nurses and being out in the sun. His journey of healing continues. 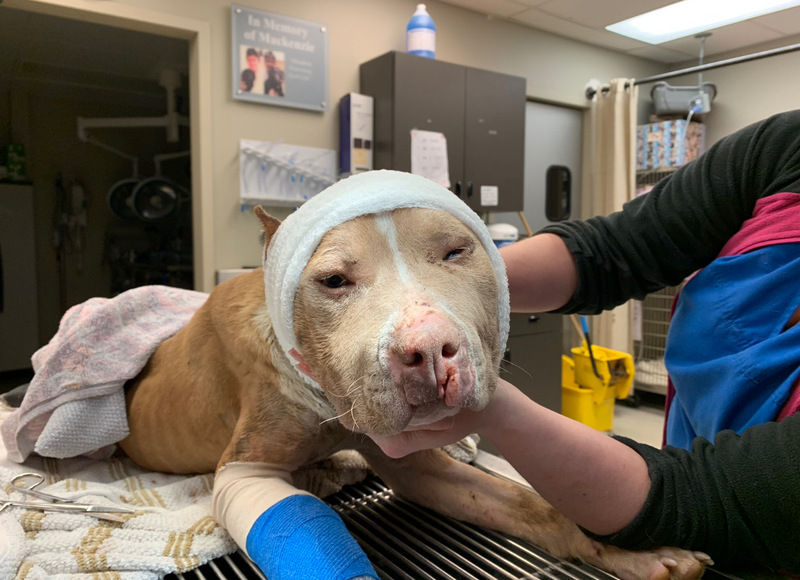 We will continue to update you on Marco on our Facebook and Instagram (strayrescuestl) pages, as well as this webpage.